Home Cycling Who is Victor Campenaerts, new record holder of the hour? Who is Victor Campenaerts, new record holder of the hour? The Belgian, 27 years old, is the new record holder of the hour. He was born in Antwerp and had been twice national and European time trial champion. Wiggins named him his successor. 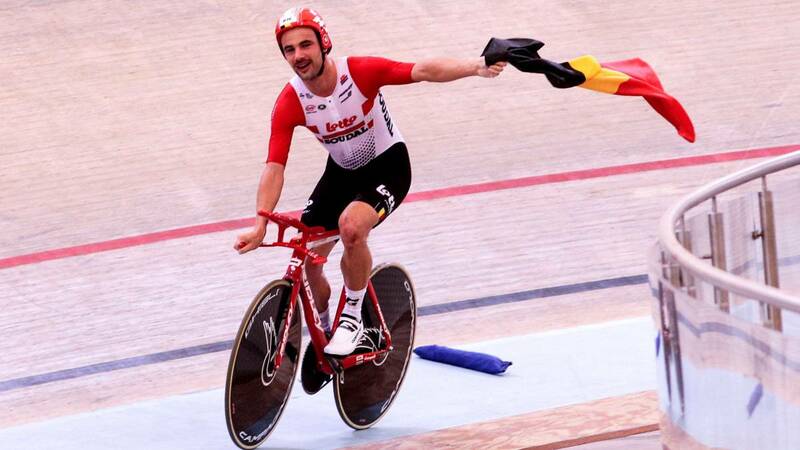 Victor Campenaerts is the new holder of the record of the hour, with 55.089 in the Mexican velodrome of Aguas Calientes, unseating the conocidísimo Bradley Wiggins, which had the top since 2015. But who is this record holder? He is a 27 year old Belgian, born in Wilrijk, a district of Antwerp known for his party of the Goat. Now they have another goat to worship. The Campenaerts bike, which runs the Lotto Soudal in road tests and is a proven time trial specialist, with two Belgian champion titles, two European golds and one bronze in the last World Cups in Innsbruck. Campenaerts focused late on cycling, because he started swimming and then went to triathlon, a discipline in which he realized he was good at cycling. And that in Flanders is to have a very large door open. When he was 19 years old, he joined the Lotto quarry teams. He soon saw fruits, because in 2013 he won the national and continental gold in the U23 category against the chrono. He followed the natural steps of the cyclist and in 2016 he made his debut in a big one in the Vuelta España, with the Lotto-Jumbo. It was in his first Giro, the one of 2017, in which he became well known. At the end of a time trial, the jersey was opened and he had written a phrase in flamenco on the chest: "Carlien Daten? (Carlien we left?) ". It was his way of requesting an appointment from Carlien Cavers, a Belgian triathlete. Campenaerts was sanctioned by the Giro with a fine of 92 euros ... but Cavers gave the yes to his appointment, although they are no longer a couple. More than the pink matter, Campenaerts ran the Vuelta 2018, already in the Lotto Soudal, and after Innsbruck bronze set its sights on the hour record and announced it for April. And he got Wiggins' approval: He can reach 55 kilometers. I believe in your possibilities. I hope you break my record. He is a really nice person. It would also be good for cycling and for this test. " Campenaerts went to train in Namibia to take advantage of the good weather of the southern cone. At the end of February I was already in Mexico to adapt to the velodrome and the altitude of Aguas Calientes (2,040 meters). Your work paid off. It has the record of the hour.